Dan Doiron becomes the third Canadian bluesman to sign with Chicago’s Earwig Music, after BC’s Les Copeland and Hamilton-born, Mississippi residing Guitar Mikey. Doiron calls Halifax home now being originally from Cape Breton and after several years as a sideman releases his fourth solo album. He has represented Atlantic Canada twice at the IBCs and will do much better with this excellent disc. He fronts a guitar/keys/bass & drums lineup and has a very good set of blues-rock songs to play for us. The first single is an uptempo tribute to the early blues ambassadors called “Ridin’ The Rods” contrasting the wealthy in their luxury coach to the hobos in the boxcars. If I were to release a second single, it would be “It Is What It Is”, a rather clever but cynical re-working of clichés with a great groove. There are a couple of radio-friendly ballads: “Cheap Trick” and “Rocky And Adrian” a lovely song to his parents. The title song sums up his view that people should follow their dream regardless of age. He has set up a project with its own web site to further that cause: www.liveCentreStage.com. It has an attractive tune too. 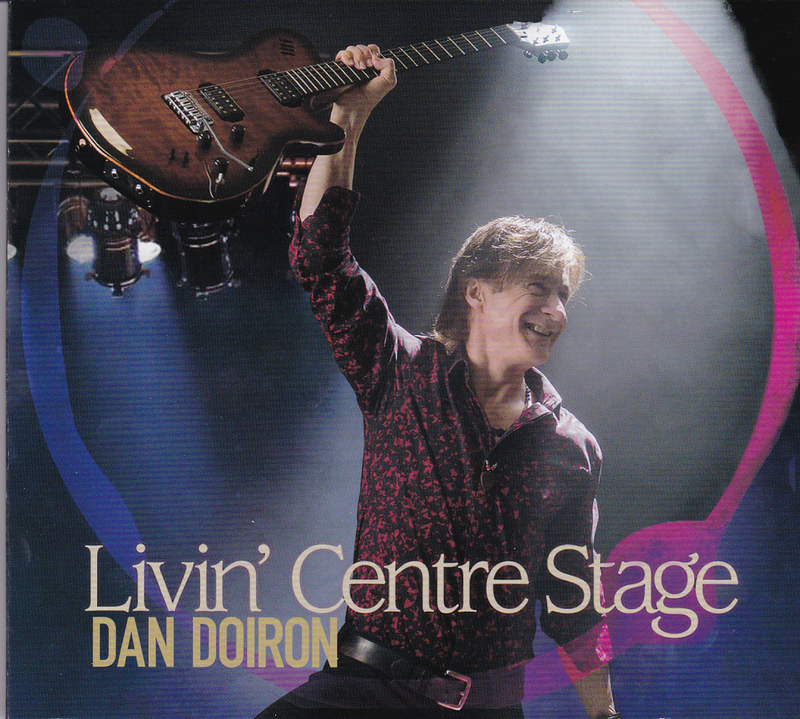 Doiron is a very good singer and guitarist with a knack for a melody. A most attractive album. His web site is www.dandoiron.com and it shows he’s not leaving the Maritimes any time soon but if you’re there you should make a point of catching a show.